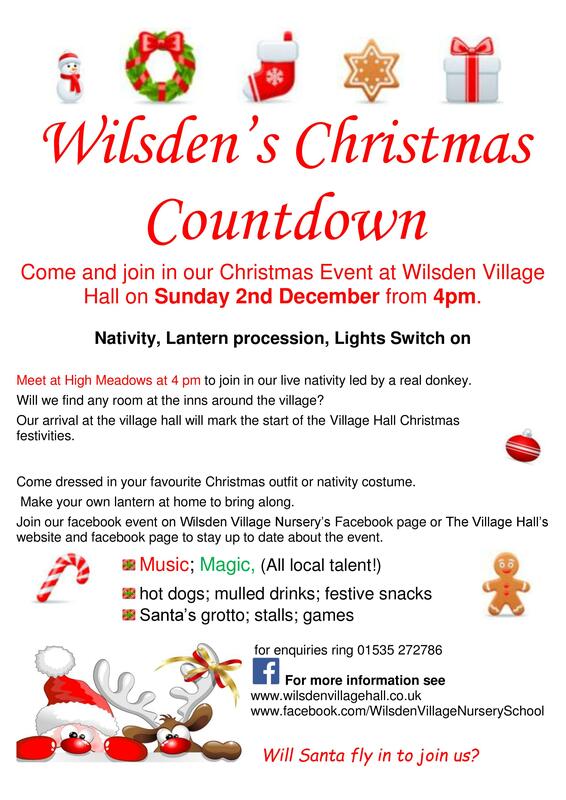 Meet at High Meadows at 4 pm to join in our live nativity led by a real donkey. Will we find any room at the inns around the village? Come dressed in your favourite Christmas outfit or nativity costume. Make your own lantern at home to bring along. 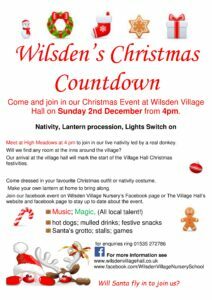 Join our facebook event on Wilsden Village Nursery’s Facebook page or The Village Hall’s website and facebook page to stay up to date about the event. Will Santa fly in to join us?